There’s a big disparity between the bigger construction backhoes that dig 14 ft (see pages 28-29) and the small tractor loader hoes built on utility tractor chassis. 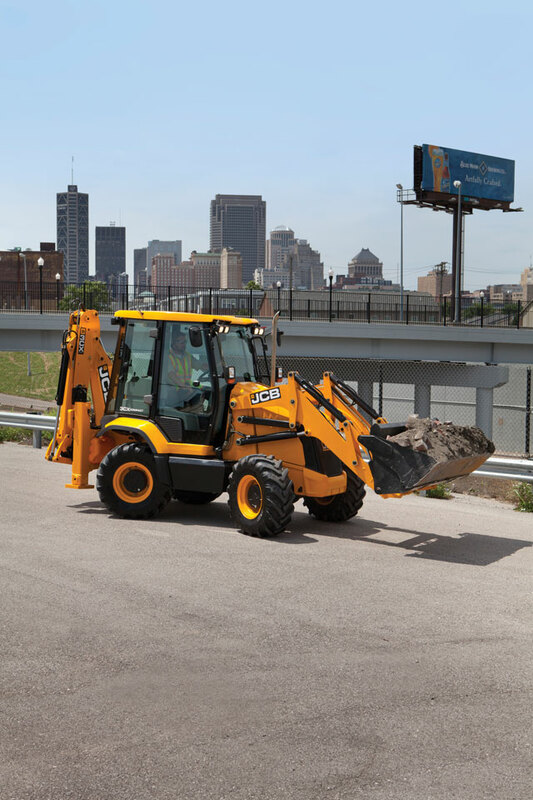 JCB thought: Why not build a construction-tough backhoe, but in a smaller, nimble untraditional size? The result is the awesome 3CX Compact Backhoe. At just over 6 ft wide and 9 ft high, the 3CX Compact is 35 percent smaller than JCB’s standard 3CX backhoe model and still has a 12-ft dig depth. The machine sits on four equal-size wheels complete with four-wheel steering, allowing it to turn a full 180 degrees in a two-lane highway. It also has rapid travel at 25 mph with its hydrostatic transmission. And in true Compact Equipment style, the 3CX Compact works with a wide-range of attachments and handheld tools for maximum versatility.